The threat of another Arab Spring is important because of its potential to destabilize Syria, as has already happened. Determining the importance of another Arab Spring to other threats to the country. 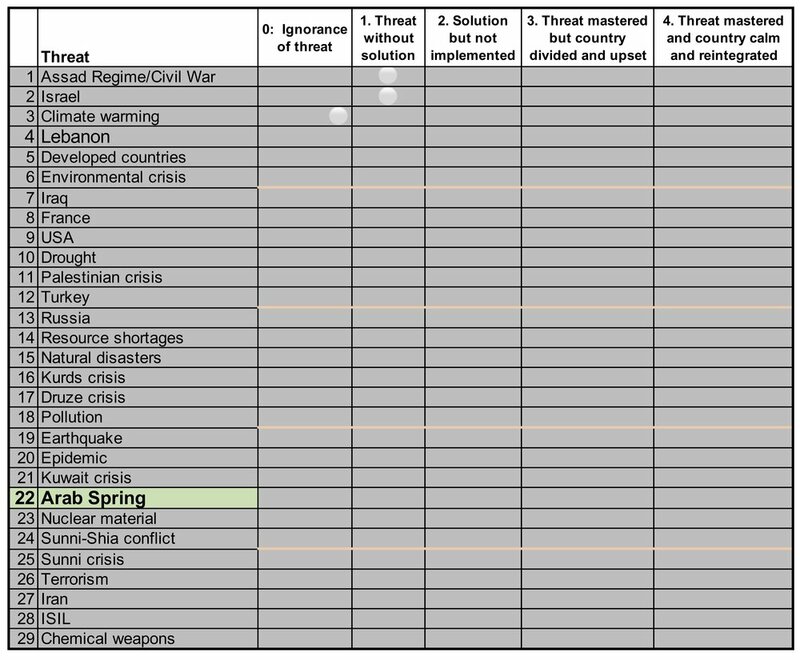 As shown in the chart below, the threat of another Arab Spring ranked 22nd most important.